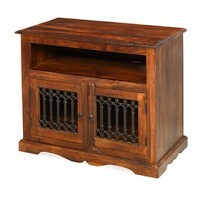 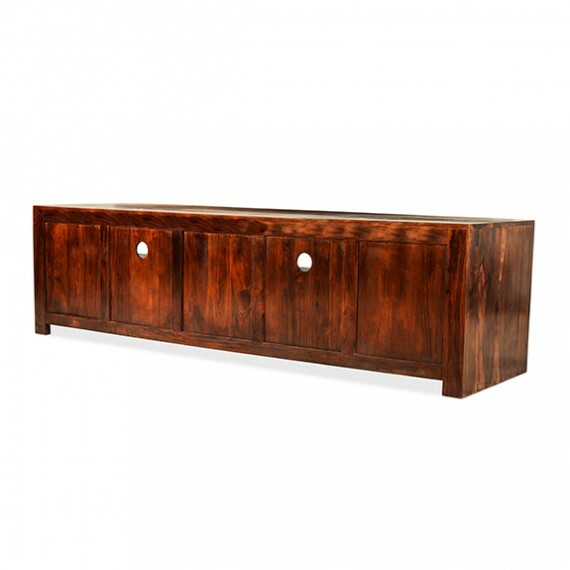 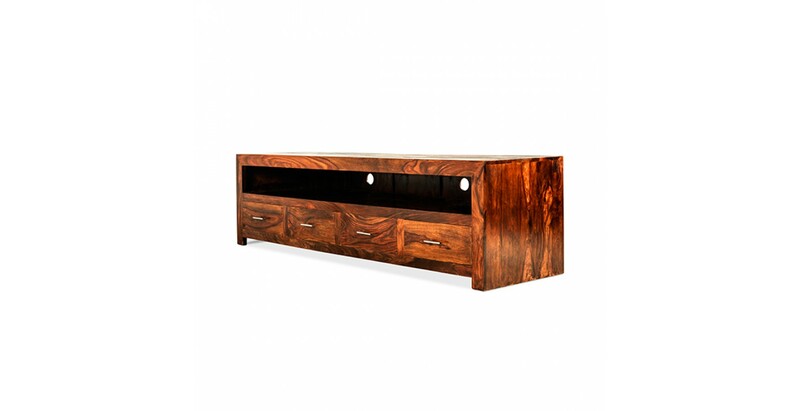 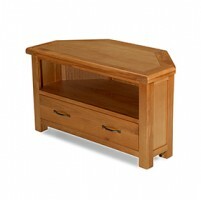 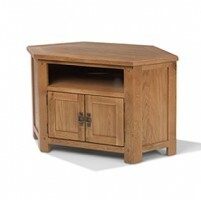 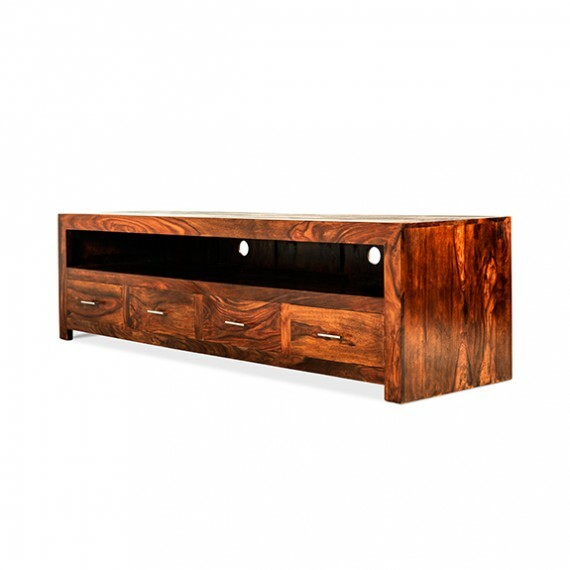 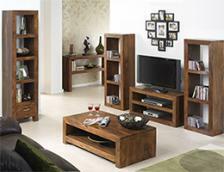 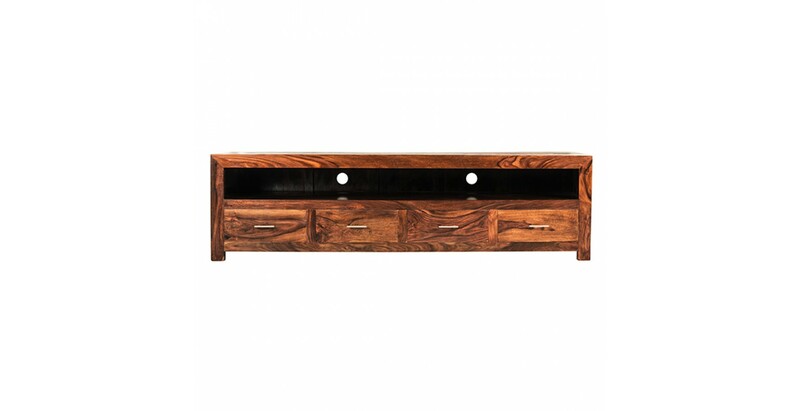 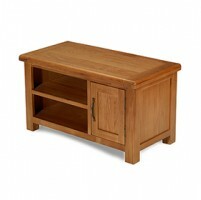 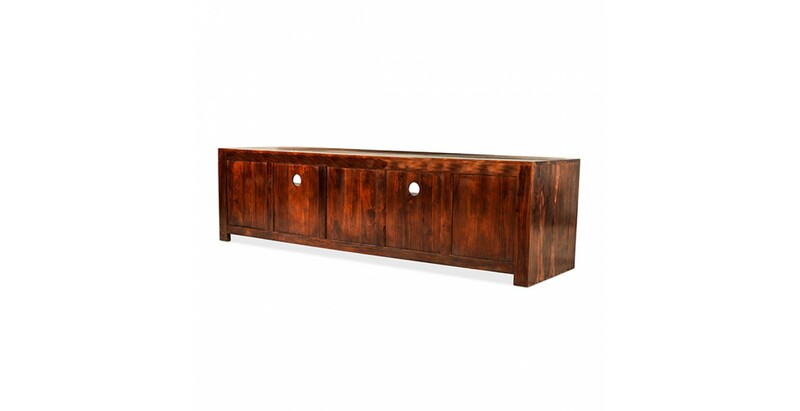 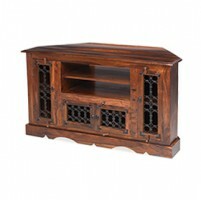 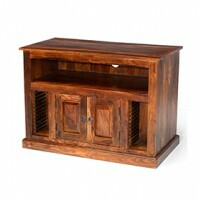 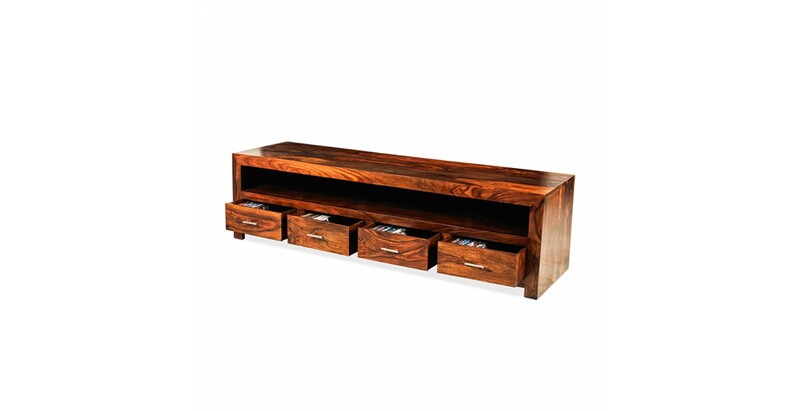 At two metres wide, this sleekly handsome TV cabinet will hold a seriously big TV on its surface. 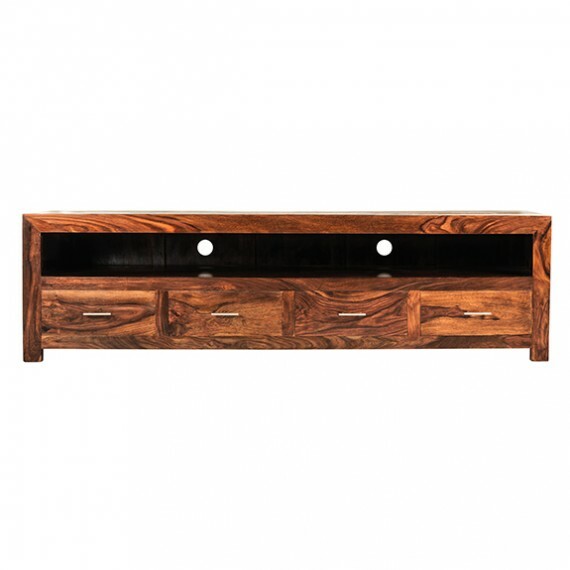 Handcrafted from Indian sheesham wood in a simple, contemporary design that will suit a wide range of decors, its dark-hued natural beauty is enhanced by a Wax Lacquer Finish that allows its uniquely characterful grain patterns to shine through and add warmth to your home. 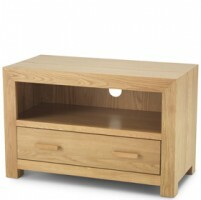 The full width open shelf will accommodate all your media devices and games console, and the four drawers with brushed metal handles will keep all your spare cables, remotes or DVDs organised.